How do we combat racism, which does exist, without endorsing the idea of separate human ‘races’, which don’t exist? All humans share one big world-wide family-tree. 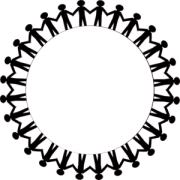 Maybe squabbling, maybe prejudiced, maybe many things, lots of good as well as bad – but all sisters and brothers under the skin.1 So let’s celebrate human diversity amidst human unity. Three thoughts. Firstly, it’s very right and proper for any group who are wrongly discriminated against to protest in full human dignity. It’s not only a duty which people owe to themselves. But they owe it to their children, whose entire upbringings can be blighted by a baffled sense that they are unappreciated in the wider world, without any fault of their own. A sense of inner worth is a vital gift to give to every child. ‘Of all our infirmities, the most savage is to despise our being’ (Montaigne). Campaigns like ‘Black Pride UK’2 and ‘Black Lives Matter’3 are honourable and deserve support from everyone, though, as within all cultural/political popular movements, there are valid debates over tactics and strategy. The general point is not to disparage others but to affirm the dignity and importance of the lives of all descendants of the African diaspora. In particular, a celebration of human pride is intended not only to hearten the young but to alert authority figures in general and the police in particular. Since anthropologists tell us that all branches of humanity come ultimately ‘out of Africa’, these are campaigns that everyone can value. Secondly: We also need cultural space to celebrate people of mixed heritage, with diverse ethnic and national backgrounds. Having written last month on the under-acknowledgement of this very common feature of human history, I was initially surprised at the number of people who hastened to tell me about their own mixed families. Yet I shouldn’t have been. Huge numbers of people, from all round the world, have mixed parentage. And as travel and migration spread, that experience is likely to become ever more common. Among my own family, I already have an Indian/English niece, whose partner is a Catalan/Irishman. Two of my step-nieces are Japanese/English; two others are one-quarter Danish. Two first cousins are Italian/English. Another first cousin is Scottish/English (and supports Scottish nationalism). Another branch of second cousins are French-speaking, of English/French descent. And my partner has recently been told by a relative, who is investigating their south London family tree, that they have an Indian great-grandmother, who met and married their great-grandfather when he was on military service in India. Similarly, among my close ‘English’ friends, it turns out that one has a Chinese father (whom she has never met). Someone else has both Portuguese and Spanish ancestors, whose families she meets regularly. Other friends have close family links which are (separately and variously) Algerian, American including indigenous American, Argentine, Australian, Brazilian, Canadian, Columbian, Czech, Dutch, Egyptian, Filipino, French, German, Iranian, Irish, Israeli, Italian, Jamaican, New Zealand, Nigerian, Pakistani, Polish, Portuguese, Roma (gypsy), Romanian, Russian, Serbian, South African, Spanish, Swedish, Taiwanese, Thai and Turkish. Continuing the diversity, one of my close friends among my former students, who herself studies how people travelling in the past met and reacted to ‘different’ peoples, has Bajan/Scottish family roots. Some of these mixed family ancestries are apparent to the eye – but many, equally, are not. But it’s manifestly open to all people of mixed heritage to celebrate all their family lines; and to refuse repeated attempts on official forms to compartmentalise them into one so-called ‘race’ or another. Collectively, all peoples of mixed heritage (including not least the English with their historically hybrid Celtic, Viking, Anglo-Saxon, Norman-French, Huguenot, and Irish roots) represent the outcome of historical population mobility. Humans are a globe-trotting species, and people from different tribes or ‘folk groups’ intermarry. It seems too that many of the separate species of very early humankind also interbred. Hence some but not all branches of homo sapiens have small traces of Neanderthal DNA, following meetings from at least 200,000 years ago.6 Diversity within unity is the norm. So thirdly and finally: It’s overdue to accept the teachings of world religions, biological science, and philosophical humanism, which proclaim that all humans are sisters and brothers under the skin. In particular, it’s even more overdue to reject socially-invented pigment-hierarchies which claim that some shades of skin are ‘better’ and more socially desirable than others. By the way, sometimes people ask me why I write on these matters. I have fair skin and hair (though others among my siblings don’t). And I am relatively socially privileged, though I do have the handicap of being a woman. (That last comment is meant ironically). Such questions, however, miss the point. They wrongly imply that combating racism is an exclusive task for people with dark skins. But no, it’s a matter for everyone. Indeed, it weakens campaigns for ‘Black Pride’, if others are not listening and responding. Humans are one species which contains diversity. Our skin hues are beautifully variegated shades of the ancestral brown.7 What’s needed is not so much ‘colour blindness’ as ‘colour rejoicing’. 1 See P.J. Corfield, Talking of Language, It’s Time to Update the Language of Race (BLOG/36, Dec. 2013); PJC, How do People Respond to Eliminating the Language of ‘Race’? 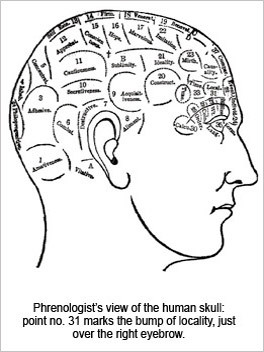 (BLOG/37, Jan.2014); PJC, Why is the Language of ‘Race’ Holding On for So Long, when it’s Based on a Pseudo-Science? (BLOG/38, Feb. 2014); and PJC, As the Language of “Race” Disappears, Where does that Leave the Assault on Racism? (BLOG/89, May 2018). 2 Founded 2005: see https://ukblackpride.org.uk. 3 Black Lives Matter is an international chapter-based campaign movement, founded in July 2013. See: https://blacklives matter.com. 4 Reported in The Guardian, 9 June 2008. 6 Research by Sergi Castellano and others, reported in Nature: International Weekly Journal of Science (May 2018), https://www.nature.com/news. 7 N.G. Jablonski, Skin: A Natural History (Berkeley, Calif., 2006) and idem, Living Colour: The Biological and Social Meaning of Skin Colour (Berkeley, Calif., 2012). 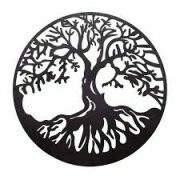 Putting people into arbitrary ‘racial’ categories is also unjust to the many people with multiple ethnic heritages.3 And the terminology is confusing even for those who still believe in it, since there has never been agreement about fundamental questions, such as how many ‘races’ there are. So this BLOG asks what is happening next, as the old terminology slowly disappears? For certain purposes societies need to acknowledge the range of diversity (alongside the common features) within the human species. Yet it is evident that the world has not yet agreed upon satisfactory alternative terminologies. The first general answer is that language innovation will find a way. It’s not just for one individual to prescribe, but for usages to adapt incrementally. These days, references are usually made in terms of cultural ethnicity (or folk allegiance)4 and/or in terminologies derived from world-regional locations, or a mix of the same (as in African American). Language innovation also needs to acknowledge the very many people around the world who have multiple inheritances. It’s not satisfactory to refer to ‘mixed race’ or ‘multi-racial backgrounds’. Those phrases smuggle the scientifically meaningless but culturally divisive concept of ‘race’ back into the picture. World regional terms have the advantage here, in that they can easily be doubled up to indicate multiple roots. However, mixings over many generations can make for cumbersome and overloaded terminologies. Often, new collective terms emerge over time. So the ancestrally hybrid Celtic/Viking/Anglo-Saxon/Norman-French population of England after 1066 became eventually ‘English’, and continue to adapt to later generations of population turnover. One technical change that’s certainly needed is the updating of language on official forms, such as census returns. 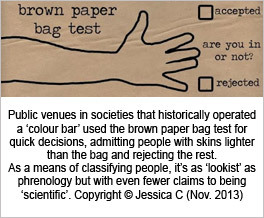 People are often still invited to self-classify into a separate ‘race’ by ticking a box. When scrutinised closely, such forms often use a very unsystematic mix of classifications, sometimes by ethnicity and sometimes by skin colour. People of multiple heritages usually have to make do with ticking ‘Other’. But sometimes they don’t even get that option. And people who reject the classification of humans into bogus ‘races’ don’t have anywhere to express their dissent. Another key question is what happens to concepts like ‘racism’ and ‘racist’, if ‘race’ is dropped from the lexicon? Does that move let people who embrace racism off the hook? To that pertinent question, the answer is: No. People who discriminate against other ethnic groups still need to be opposed just as firmly. But not by using their language. Rejecting the reality of ‘race’ strengthens criticism of racist prejudices. Such attitudes are not only humanly obnoxious but they are based upon non-sense: a combination of myths, pseudo-science, and a not very well disguised form of self-interest. Racists are the equivalent of flat-earthers, denying reality for their own tribalistic benefit. Following that, it’s also worth asking whether rejecting the concept of ‘race’ might imply that people shouldn’t take an interest in their own genetic and cultural/ethnic backgrounds? Here the answer is equally: No. But this time, the effect is positive. Rejecting ‘race’ liberates people from trying to fit their personal histories into false categories, which don’t exist. Instead, individuals can investigate the ethnic identities of all their family branches with pride. Rejecting separate ‘races’ improves the potential for personal and cultural understanding of our pluralistic humanity. That’s particularly important for people from multiple heritages. Those historic legacies all merit attention, without any false rankings of one group being intrinsically ‘above’ another group of fellow humans. It’s culturally and psychologically important for people to know about their roots. (And in some cases it’s medically relevant too). Yet that exercise should be done in a democratic spirit. Pride in roots is not racist but a due acknowledgement of authentic pluralism. In many countries, these themes are lived daily. For example, in the great ethnic melting pot of Brazil, there are rival pressures. On the one hand, there are subtle decodings of status and hierarchy by reference to an unacknowledged pigmentocracy, based upon skin colour. Lighter skinner people tend to be in positions of power, although not in all walks of life. On the other hand, there is great pride in country’s multicultural legacies. Hence there is a notable social impulse to ‘be cordial’ (in a favoured phrase) by not drawing attention to outward differences (say) in appearance and skin colour.7 Visitors report on a society where people seem admirably comfortable in their own bodies. In short, the collective dynamic may be evolving beyond older fixations upon ‘race’. Nonetheless, Brazil’s current policies of affirmative action, to help disadvantaged groups, are running into major difficulties in classifying ethnic affiliations. Specifically, the ‘Race Tribunals’, appointed to undertake this delicate task for appointments to government posts, are struggling with the instability of ‘racial’ boundaries.8 Hence the policy, undertaken with good intentions, has already become controversial. It may well be that in future the challenges to inequality, in Brazil as elsewhere, will turn to focus instead upon class. And ‘class’, whilst also a socio-cultural-economic concept with its own definitional fuzziness, does not purport to be pre-ordained by human biology. Achieving a full and fair democracy is no easy task; but it will be boosted by finding fresh terms for ethnic diversities within a common humanity – and fresh ways of both assessing and rectifying social disadvantage. Lastly, the best egalitarian rejection of racism is not to urge that: ‘all “races” should be treated equally’. Such a declaration falls back into the trap of racist pseudo-science. The best statement is straightforward: ‘We are all one human race’. That’s the seriously best starting point from which to combat discrimination. 1 P.J. Corfield, See P.J. Corfield, Talking of Language, It’s Time to Update the Language of Race (BLOG/36, Dec. 2013); idem, How do People Respond to Eliminating the Language of ‘Race’? (BLOG/37, Jan.2014); and idem, Why is the Language of ‘Race’ Holding On for So Long, when it’s Based on a Pseudo-Science? (BLOG/38, Feb. 2014). 2 See L.L. and F. Cavalli-Sforza, The Great Human Diasporas: The History of Diversity and Evolution, transl. S. Thomas (Reading, Mass., 1992); and M. Gannon, ‘Race is a Social Construct, Scientists Argue’, Scientific American (5 Feb. 2016), with the strap line: ‘Racial categories are weak proxies for genetic diversity and need to be phased out’. 3 See M.P.P. Root’s Bill of Rights for People of Mixed Heritage (1993), www.drmariaroot.com/doc/BillOfRights.pdf: which includes the declaration: ‘I have the right to have loyalties and identification with more than one group of people’. 4 Ethnicity is defined as the state of belonging to a distinctive group with a shared cultural and/or national tradition. Shared religion, language and genetic markers may also contribute. The classification is not a precise one. 6 D. Posel, Race as Common Sense: Racial Classification in Twentieth-Century South Africa’, African Studies Review, 44 (2001), pp. 87-113. 7 J. Roth-Gordon, Race and the Brazilian Body: Blackness, Whiteness, and Everyday Language in Rio de Janeiro (2016). https://www.penelopejcorfield.com/wp-content/uploads/2018/05/2018-05-No1-circle-holding-hands-Copy.png 300 300 Penelope J Corfield https://www.penelopejcorfield.com/wp-content/uploads/2014/08/Penelope-J-Corfield.png Penelope J Corfield2018-05-01 12:00:032018-05-10 14:35:50MONTHLY BLOG 89, AS THE LANGUAGE OF ‘RACE’ DISAPPEARS, WHERE DOES THAT LEAVE THE ASSAULT UPON RACISM? Having proposed eliminating from our thoughts and vocabulary the concept of ‘race’ (and I’m not alone in making that suggestion), how do people respond? Indifference: we are all stardust. Many people these days shrug. They say that the word ‘race’ is disappearing anyway, and what does it matter? So from a cosmic point of view, there’s no point in worrying over minor surface differences within one species on a minor planet, circulating within the constellation of a minor sun, which itself lies in but one quite ordinary galaxy within a myriad of galaxies. Ethnic pride: On the other hand, we do live specifically here, on earth. And we are a ‘lookist’ species. So others give more complex responses, dropping ‘race’ for some purposes but keeping it for others. Given changing social attitudes, the general terminology seems to be disappearing imperceptibly from daily vocabulary. As I mentioned before, describing people as ‘yellow’ and ‘brown’ has gone. Probably ‘white’ will follow next, especially as lots of so-called ‘whites’ have fairly dusky skins. ‘Black’, however, will probably be the slowest to go. Here there are good as well as negative reasons. Numerous people from Africa and from the world-wide African diaspora have proudly reclaimed the terminology, not in shame but in positive affirmation. Battersea’s first ‘black’ Mayor, John Archer (Mayor 1913/14) was a pioneer in that regard. I mentioned him in my previous BLOG (no 35). Archer was a Briton, with Irish and West Indian ancestry.2 He is always described as ‘black’ and he himself embraced black consciousness-raising. Yet he always stressed his debt to his Irish mother as well as to his Barbadian father. In 1918 Archer became the first President of the African Progress Union. In that capacity, he attended meetings of the Pan-African Congress, which promoted African decolonisation and development. The political agenda of activists who set up these bodies was purposive. And they went well beyond the imagery of negritude by using a world-regional nomenclature. Interestingly, therefore, the Pan-African Congress was attended by men and women of many skin colours. 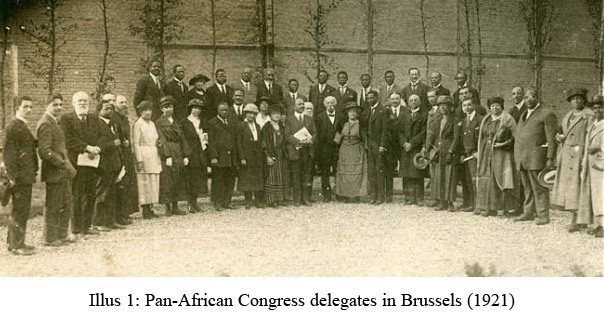 Look at the old photograph (1921) of the delegates from Britain, continental Europe, Africa and the USA (see Illus 1). Possibly the dapper man, slightly to the L of centre in the front row, holding a portfolio, is John Archer himself. Today, ‘black pride’, which has had a good cultural run in both Britain and the USA, seems to be following, interestingly, in Archer’s footsteps. Not by ignoring differences but by celebrating them – in world-regional rather than skin-colourist terms. Such labels also have the merit of flexibility, since they can be combined to allow for multiple ancestries. Just to repeat the obvious: skin colour is often deceptive. Genetic surveys reveal high levels of ancestral mixing. As American academic Henry Louis Gates has recently reminded us in The Observer,3 many Americans with dark skins (35% of all African American men) have European as well as African ancestry. And the same is true, on a lesser scale, in reverse. At least 5% of ‘white’ male Americans have African ancestry, according to their DNA. Significantly, people with mixed ethnicities often complain at being forced to choose one or the other (or having choice foisted upon them), when they would prefer, like the ‘Cablinasian’ Tiger Woods, to celebrate plurality. Pride in ancestry will thus outlast and out-invent erroneous theories of separate ‘races’. Just cognisance of genetic and historic legacies: There is a further point, however, which should not be ignored by those (like me) who generally advocate ‘children of stardust’ universalism. For some social/political reasons, as well as for other medical purposes, it is important to understand people’s backgrounds. Thus ethnic classifications can help to check against institutionalised prejudice. And they also provide important information in terms of genetic inheritance. To take one well known example, sickle-cell anaemia (drepanocytosis) is a condition that can be inherited by humans whose ancestors lived in tropical and sub-tropical regions where malaria is or was common.4 It is obviously helpful, therefore, to establish people’s genetic backgrounds as accurately as possible. All medical and social/political requirements for classification, however, call for just classification systems. One reader of my previous BLOG responded that it didn’t really matter, since if ‘race’ was dropped another system would be found instead. But that would constitute progress. The theory of different human races turned out to be erroneous. Instead, we should enquire about ethnic (national) identity and/or world-regional origins within one common species. Plus we should not use a hybrid mix of definitions, partly by ethnicities and partly by skin colour (as in ‘black Britons’). Lastly, all serious systems of enquiry should ask about plurality: we have two parents, who may or may not share common backgrounds. That’s the point: men and women from any world-region can breed together successfully, since we are all one species. 1 S. Kwok, Stardust: The Cosmic Seeds of Life (Heidelberg, 2013). 2 For John Richard Archer (1869-1932), see biog. by P. Fryer in Oxford Dictionary of National Biography: on-line; and entry on Archer in D. Dabydeen, J. Gilmore and C. Jones (eds), The Oxford Companion to Black British History (Oxford, 2007, p. 33. 3 The Observer (5 Jan. 2014): New Review, p. 20. 4 M. Tapper, In the Blood: Sickle Cell Anaemia and the Politics of Race (Philadelphia, 1999). https://www.penelopejcorfield.com/wp-content/uploads/2014/08/Penelope-J-Corfield.png 0 0 Penelope J Corfield https://www.penelopejcorfield.com/wp-content/uploads/2014/08/Penelope-J-Corfield.png Penelope J Corfield2014-01-01 12:00:472014-12-28 19:36:13MONTHLY BLOG 37, HOW DO PEOPLE RESPOND TO ELIMINATING THE LANGUAGE OF ‘RACE’?